CRA-W is proud to sponsor the 6th biennial Michigan Celebration of Women in Computing (MICWiC) via the Distinguished Lecture Series program. MICWiC is part of a nationwide effort to address the alarming decline of American women choosing computer science professions. In the tradition of prior ACM Celebrations, MICWiC 2017 will focus attention on the research success and career interests of women in computing and information technology. It will bring together students, faculty, and business leaders from across Michigan and neighboring states to discuss the role of women in today’s technology fields, share experiences and strategies for success, and explore issues common to women working in these fields. You should attend if you are interested in learning about the challenges and rewards of computing careers or in advancing technology through broader representation of women. Undergraduates and graduate students with interests in computing and information technology are encouraged to attend and also to submit work. Faculty and technology leaders are also invited to come meet and mentor the next generation of computing professionals. Laura Haas is an IBM Fellow and Director of IBM Research’s Accelerated Discovery Lab. She has held a broad range of positions at IBM in both research and development divisions. She is known for her work in databases, information integration and environments for data science. She has received the Anita Borg Institute Technical Leadership Award, the ACM SIGMOD Codd Innovation Award and several IBM awards including a Corporate Award for information integration technology. 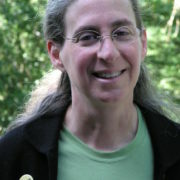 She currently serves on the National Academies’ Computer Science and Telecommunications Board. She is an ACM Fellow, a member of the National Academy of Engineering, the IBM Academy of Technology, and a Fellow of the American Academy of Arts and Sciences. Katie Siek is an associate professor in Informatics at Indiana University Bloomington. Her primary research interests are in human computer interaction, health informatics, and ubiquitous computing. More specifically, she is interested in how sociotechnical interventions affect personal health and well being. Her research is supported by the National Institutes of Health, the Robert Wood Johnson Foundation, and the National Science Foundation including a five-year NSF CAREER award. She has been awarded a CRA-W Borg Early Career Award (2012) and a Scottish Informatics and Computer Science Alliance Distinguished Visiting Fellowship (2010 & 2015).